If you are surfing GunLink, then chances are good that you are a shooting enthusiast or, at least, have some interest in self defense, hunting, plinking, or other shooting sports. For many of us, picking up a firearm and hitting the range is a perfect way to spend a weekend. For others, however, as enjoyable as it sounds, that is not a possibility. Such is the case for Yuri Sivitski. We recently made the online acquaintance of Yuri through Twitter. Yuri was born and grew up in the Soviet Union – in the Belorussian Soviet Socialistic Republic, now known as the Republic of Belarus. There, he was diagnosed at a very young age with muscular dystrophy – a disease without specific treatment or cure that weakens the musculoskeletal system and hampers movement. You can see how this would be problematic for someone interested in the shooting sports. Yuri has shared more of his story here on the GunLink Forums, where he has opened himself for an Ask Me Anything (within reason) Q&A session. Yuri notes the irony of being a 46 year old man who is still working with “the rest of the same muscles I was born with” – which continue to deteriorate. 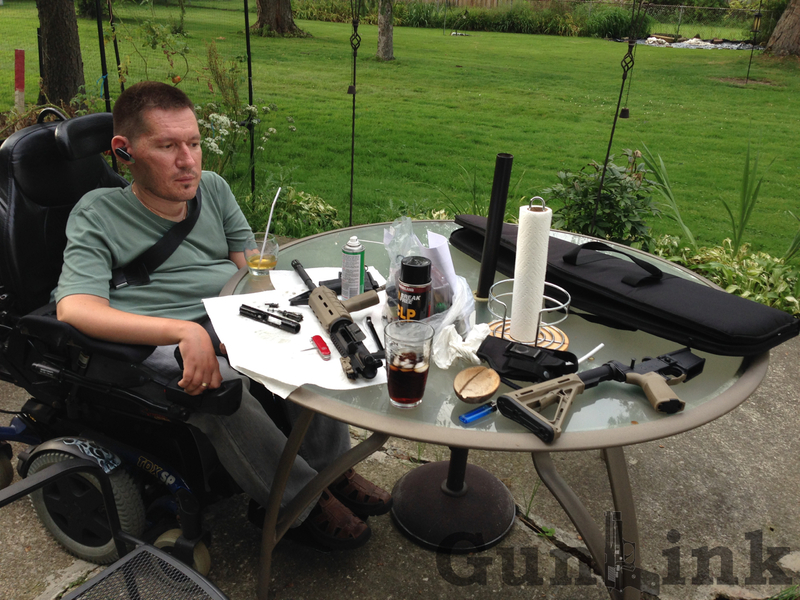 Although he has never been able to walk, and could never lift objects weighing much more than one pound, he has a great interest in firearms and the shooting sports. I cannot remember, how it started, but everything about firearms has always been one of top interest in my life. As you can imagine, in the Soviet Union access to guns for citizens was, let’s put it softly, restricted.